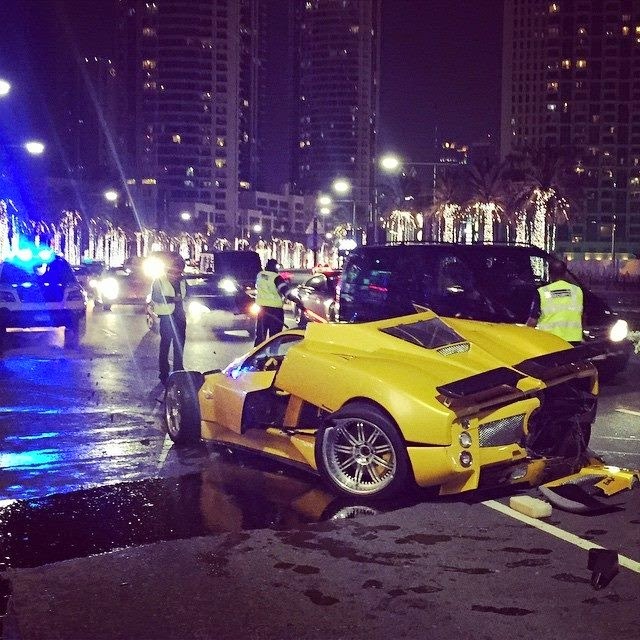 The well known Zonda F chassis N°69 suffered damage in an accident during the past weekend in Dubai. The car was just bought from less than a month and some sources are suggesting that it was just registered from few days. 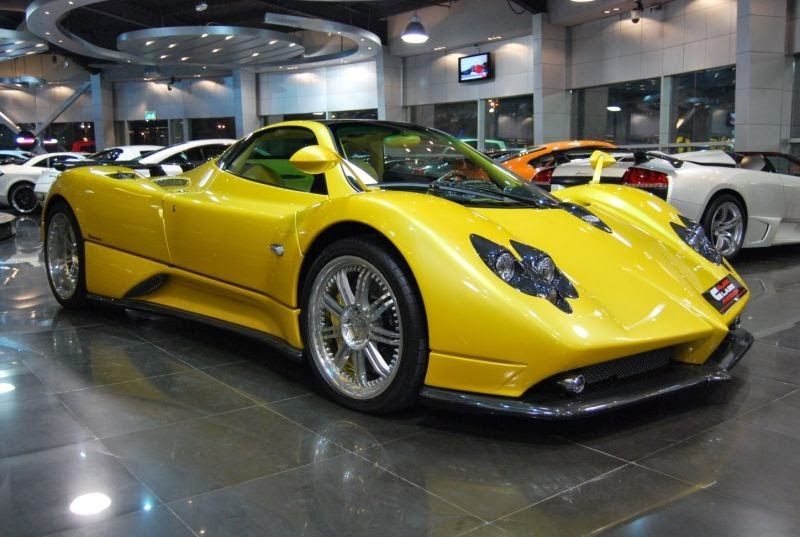 As of a few days ago it was still in the dealer's showroom with the copper Huayra. The cockpit looks in good condition and according to the people there the driver and passenger survived without injury. It's not clear what really happened. 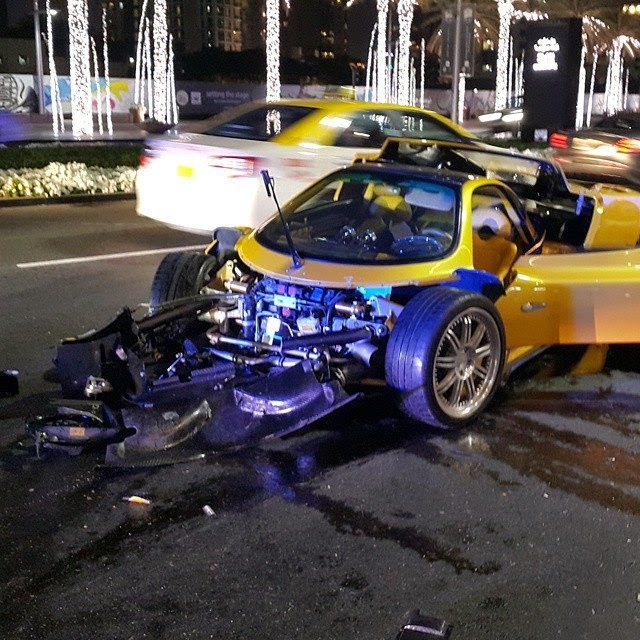 The car features damages at the front, rear and sides, it probably hit many obstacles but no major singular impact. Front frame is gone, the right hand side crash absorber is bended, right suspension snapped. Rear end probably has similar damage, the left hand side suspension failed, probably the frame was damaged as well while the main tub seems ok. I love its configuration, especially the double carbon spoiler and I really hope it will be rebuilt according to the same specs and not converted to 760 specs.